I grew up in Long Island, NY and was introduced into the flooring business at age 15. I began as a forklift driver in a flooring warehouse and worked hard to learn the skills of the trade which allowed me to become an installer. I have now been a flooring installer for over 15 years. I am CFI certified and have continuously received additional training in flooring. In 2008, I decided to join the military where I learned hard work and determination is the key to success. 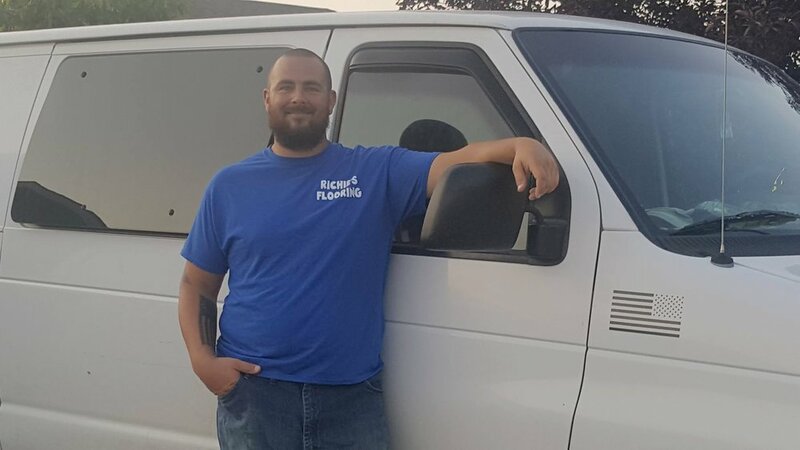 Alongside with my wife, Nastassja, and 2 children, I started Richie’s Flooring so that I could share my passion of flooring with others. It brings me great joy to utilize my talent to create the perfect floor spaces for my customers. I have been fortunate enough to have met some great people along the way and for this I am thankful. My goal is to continue to contribute to the community and help as many families as I can. After all, life’s easier with a little help.